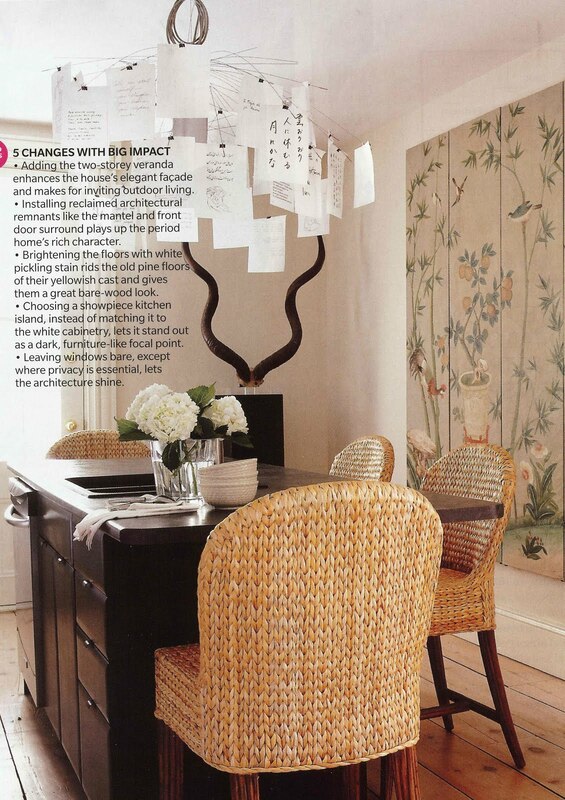 Desire to Decorate: Love it or Hate it? I really never thought that the classic deer head or antlers would ever take a modern turn but wouldn't you know it has. Do you love it or hate it? 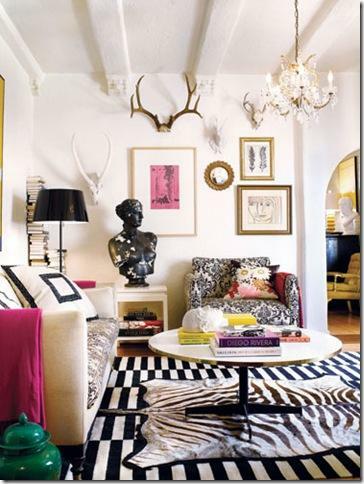 Here's my absolute favourite use of the deer head... from Janell over at Isabella & Max Rooms. 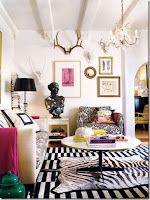 Which is also my inspiration picture for making my livingroom less formal and more for living. 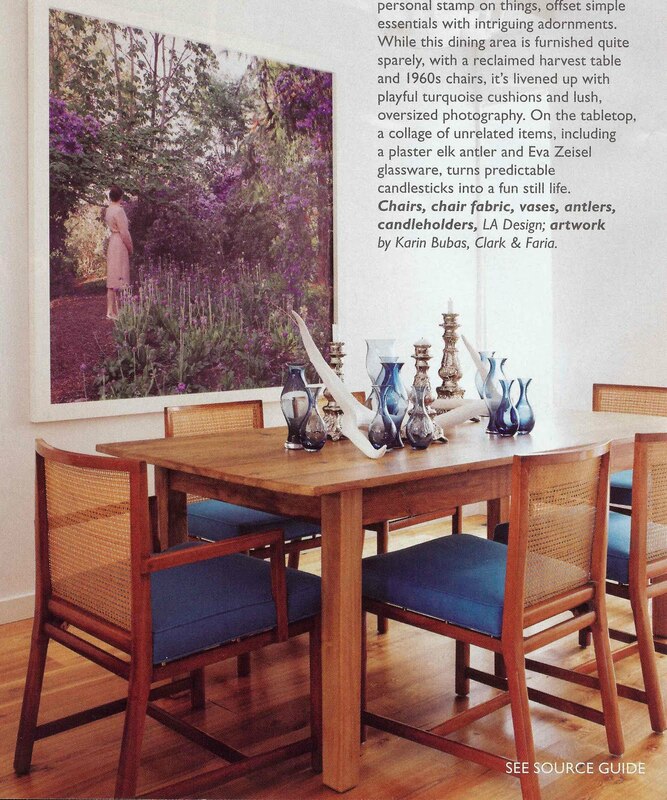 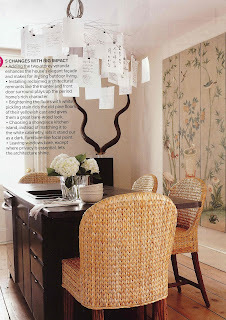 here's a few more pictures for your viewing pleasure... photos courtesy of Canadian House & Home (H&H) and Decor Pad. 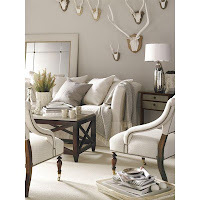 and a few pictures of antlers... photos courtesy of Style at Home and H&H. 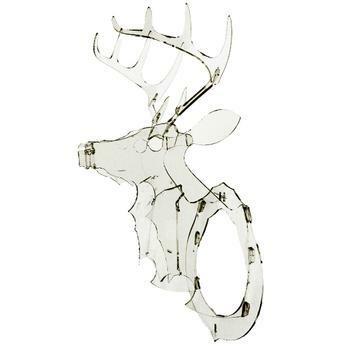 how about in acrylic or glossy metal? 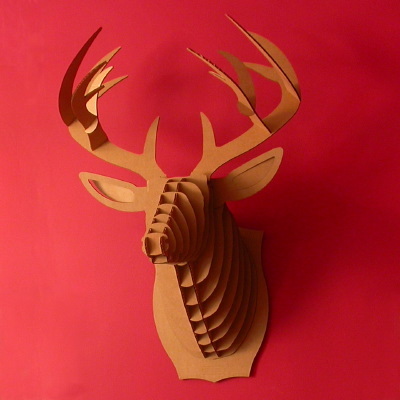 if you're looking for a really inexpensive version, how about these in cardboard from Cardboard Safari? 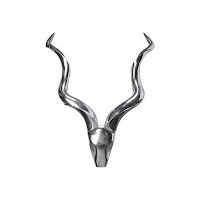 And, if you're wanting a refreshing break from all the deer, here's antelope antlers in polished aluminum.... photo H&H. All in all, I'm not certain that the deer head is for me (as much as I love Janell's) but perhaps adding a pair of antlers to my basement wall unit would be a nice earthy touch.